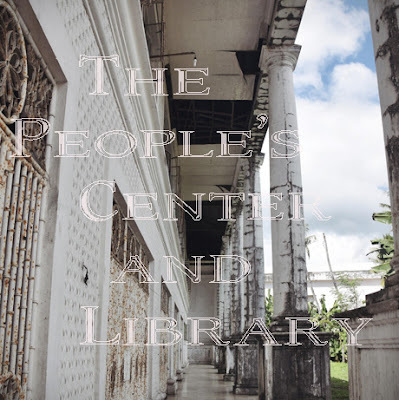 Last April 2015, I came over to The People's Center and Library with the intention of making a base where I could spend copious amounts of time reading, unmolested by noise and so on. 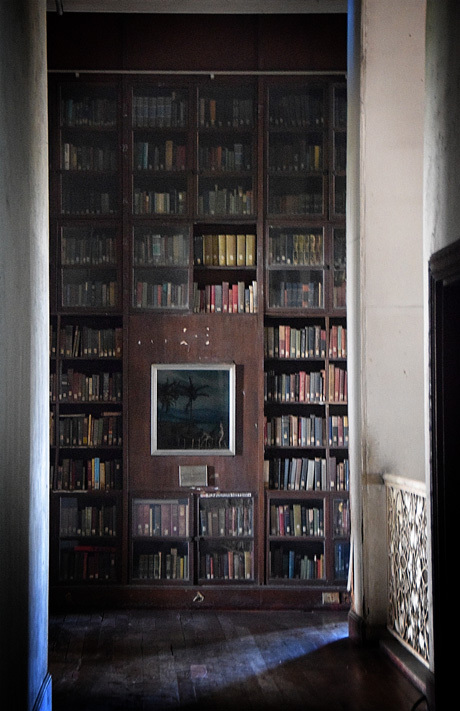 I remembered this library from my youth doing research, coming over for events such as graduations, parties and tours but found quite a different place from what I saw then. Voracious-reading resident "Mano Boy." Spoke with him last April and found out he has been coming for 25 years daily! He is fascinated with science. We discussed about physics, cold fusion in particular, which he is tirelessly reading on. I could speak with him for hours indeed. This center was packed the very day it opened, it was on July 29, 1981. I recall it like a clear day because it was the same day British throne heir apparent Prince Charles and the late Lady Diana Spencer were espoused. I remember our country's heartthrobs like Gabby Concepcion and William Martinez came over to perform and the whole city was turned upside down. I was in 6th grade at Leyte State College and in my finite childhood mind that day was spectacular. This structure was completed during the Marcos years and perhaps Tacloban being the hometown of then First Lady Imelda Marcos, this library having been completed here was sequential. As a child I had not seen anything like it. 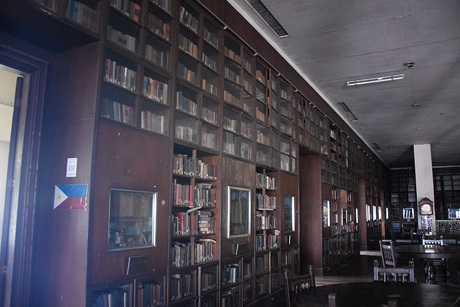 A massive library with dioramas that depicted our native ancestors' way of life, grand Narra wood (New Guinea Rosewood) round tables and chairs, bookshelves so high that seemed as though it rose to the sky with ladders attached so as to access the books located atop the shelves and of course, books, books, books. 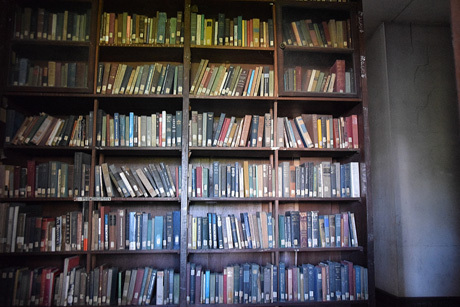 Per my research, the former President Marcos commissioned to buy the entire Library of Franconia University in New Hampshire, United States after it closed in 1978. 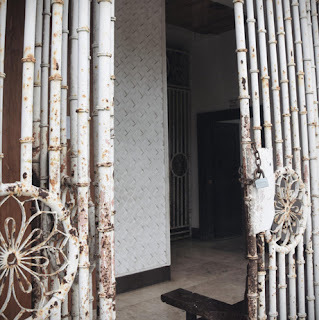 The whole structure was monumental with Neo-Roman architecture, white pillars that towered very tall, decorated with ornate wrought iron and metal poles fashioned into bamboo designs which acted as barriers from the inside to the outside. 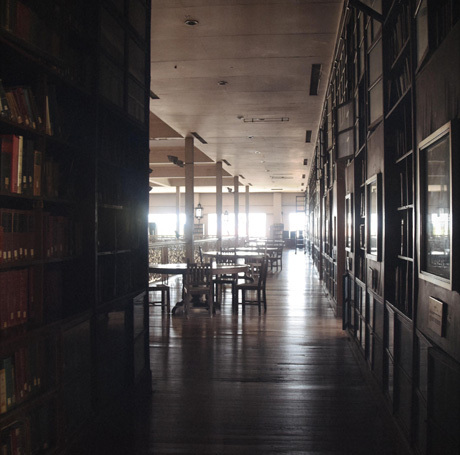 During that time the library was packed on the first and second floors and everything was in pristine condition. 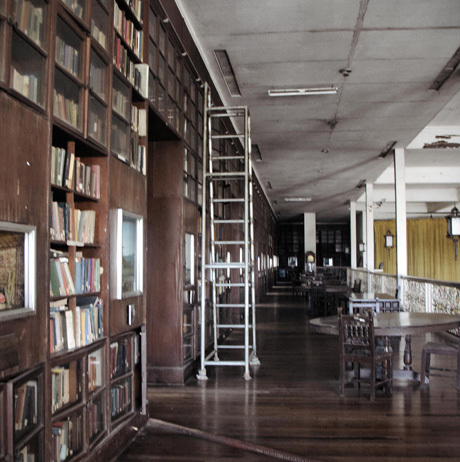 Students at the time would be able to enter the library by showing their school ID and one could sit inside the lofty rooms which aside from the tables and chairs also had velvet Chesterfield couches and we could read, read read. What a treat, as I reflect on those times. As a youngling, I knew I had been blessed to be able to experience such an illustrious public center here in our island town. 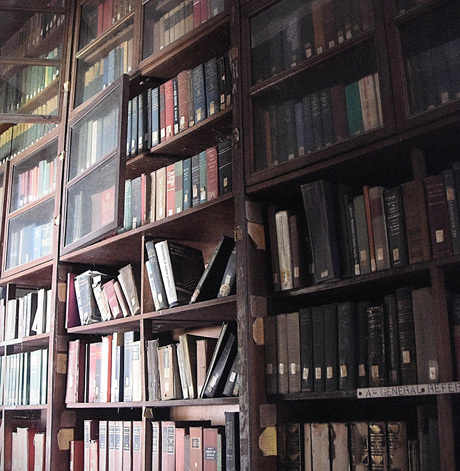 Just like anything that ages, the library had been subjected to the elements and the environment around it. 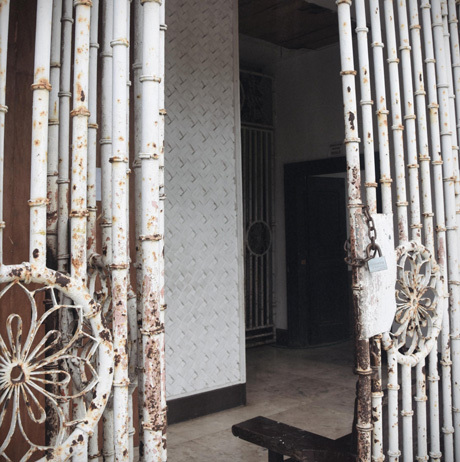 Events that shook this center included the uprising against the Marcoses in 1987 when it was reported that people in the opposition stormed the center and caused damage to it, mob-style. The center was relinquished to the PCGG (Presidential Commission of Good Government) when the new government took over. 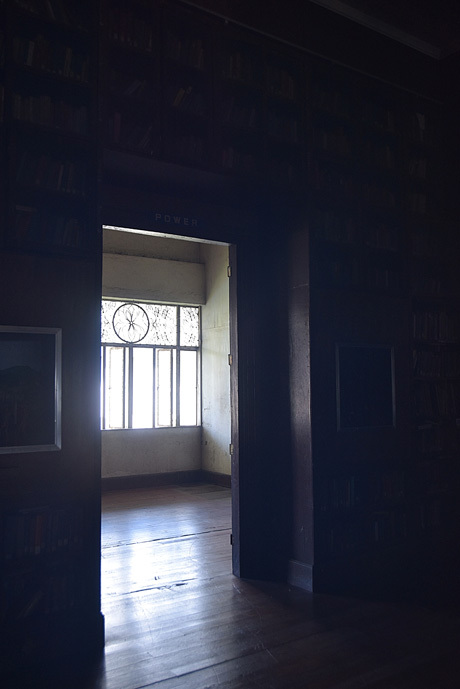 Thereafter, though the place was still used for milestone functions such as graduations, weddings, pageants and concerts but it's allure as a center of higher learning and a world-class library began to diminish. 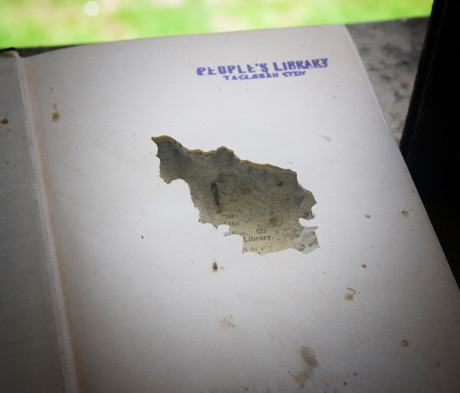 More toll was levied upon the library with the event of typhoon Yolanda (Haiyan), when it was used as a shelter and it was reported that the evacuees were using pages of books for fire (to cook their food) and some, as toilet paper. 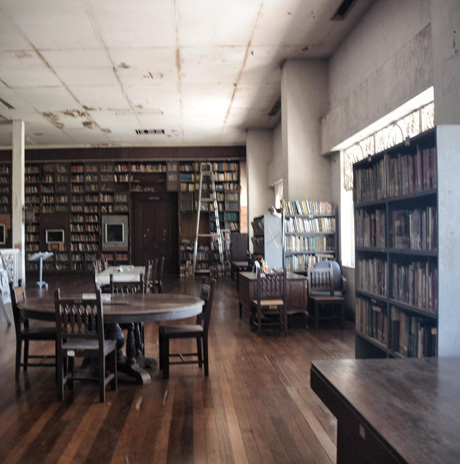 Needless to say, with the lack in prioritizing, limited attention by the powers that be and lack of custodians and even patronage, the center and library became neglected and incurred so much loss. 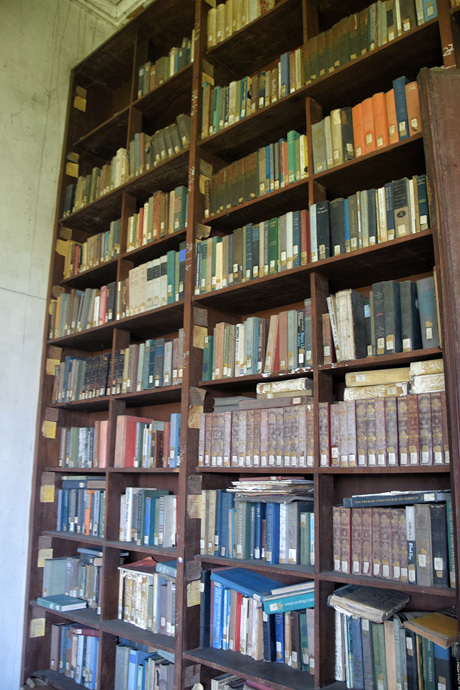 I won't be remiss in mentioning that the current person in-charge of the center has done all he can to the best he is able with the library. However, with something colossal as this, one or three people is measly. 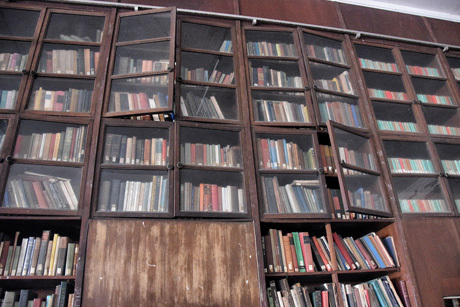 Today, this is what's left of the library. I conversed with some custodians and the main question I ask is "Why is there not a better way to maintain it all?" And the answer is: lack of budget. 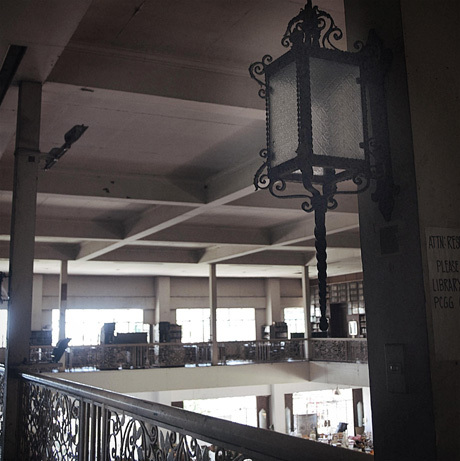 Having been away for 20 years, I naively ask if we have a historical society here in Tacloban; the answer is "none." 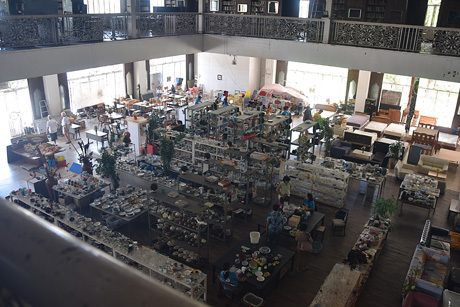 Today, the first floor of the center is being used as a bazaar for 2nd-hand Japanese goods. Perhaps this helps in keeping the center somewhat afloat with the minimal maintenance it can afford. 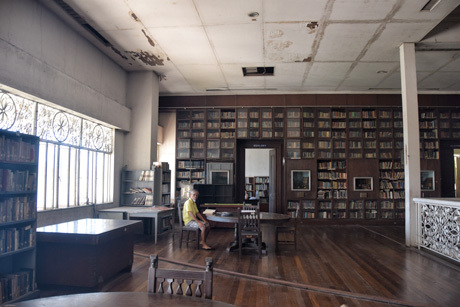 From that time in April, I began talking to some friends of mine who were all Tacloban natives whether living abroad, nationally and even locally if we could do something in helping to restore the library as volunteers and perhaps if we could "adopt" rooms (so to speak) in which we can clean, dust, and re-organize the books and even help to make it functional again. I understand it will be cumbrous but if it is done book by book, shelf by shelf, room by room, maybe it will have a chance, turtle-ian it may be. What say you? 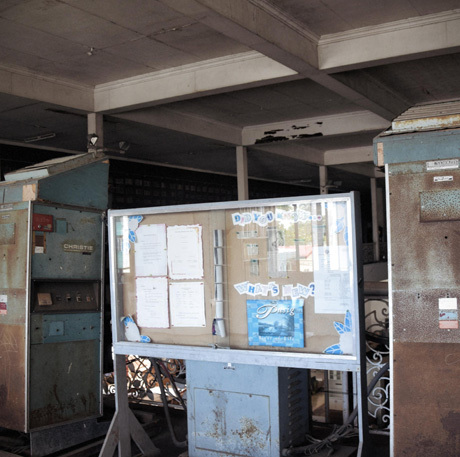 Current photos I have taken are here and I hope one will see it for the potential that it can become again. Dressing room and bathroom area on the right side. 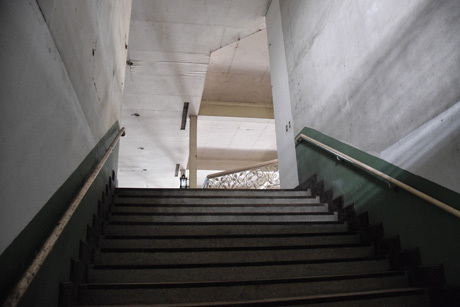 Staircase ascending to the library. Today's bulletin board with vending-like machines. I honestly do not know what these are. 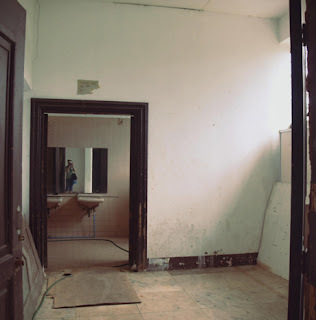 Hallway on the left, facing the stage. 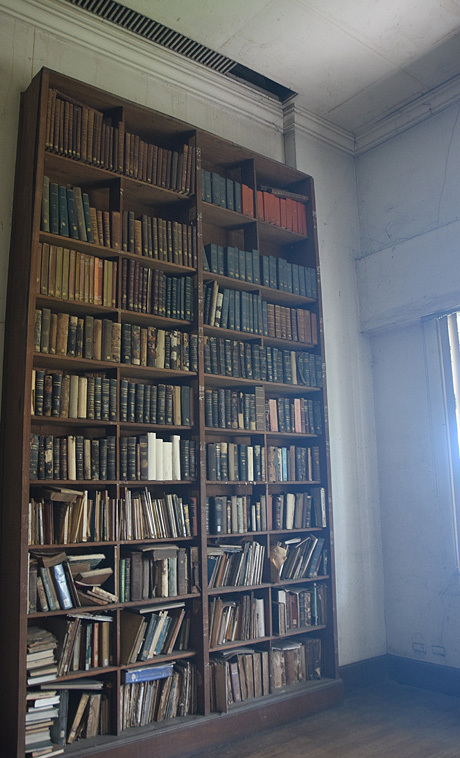 Books towards the hallway, ceiling. More books in the hallways. 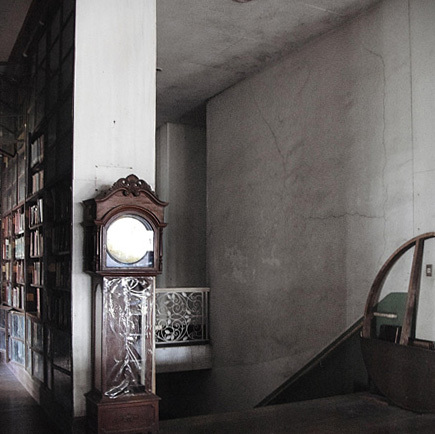 A ornate Grandfather's Clock with missing parts, the custodians have covered it with cellophane to help protect what remains of it. A termite village inside a book. So sad. More books in the hallway. A reflection of it's glorious past. 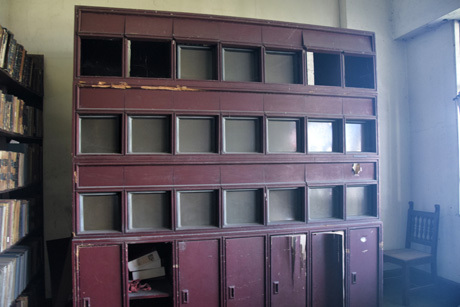 Remnants of the Media Room. The Center never had an empty room as far as I recall, but this one is sad and empty. Still a classic though.